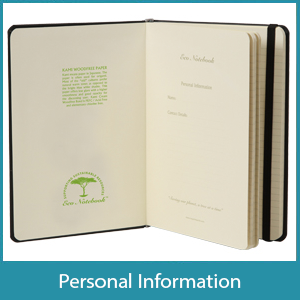 The Standard Eco Notebook is available in hard and soft covers. The premium fabrics are ideally suited for quality foiling or debossing branding options. There are a multitude of customization options available to engage, promote and expose your brand. Custom printed tip in pages featuring your corporate profile, product or service. 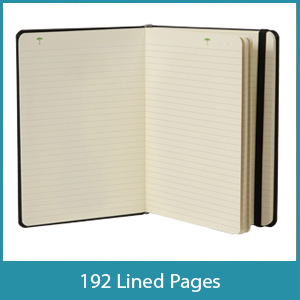 Select a cover colour with matching elastics and page marker ribbons. Custom printed notebook cover to cover. 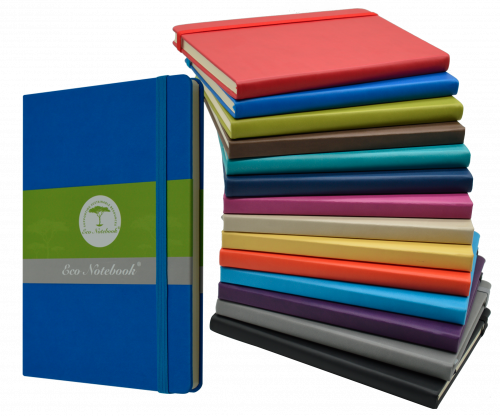 Our vibrant Eco Notebooks are available in a wide range of colours and three sizes. 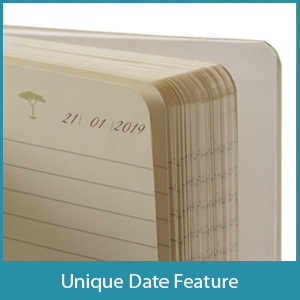 Bound in superior quality PU fabric, these eco-friendly notebooks are a high quality product with 192 lined ivory pages that can be made to order & manufactured locally.